Assessing structural damage to joints over time is essential for evaluating the effectiveness of therapeutic interventions for patients with inflammatory arthritis. Although radiography is able to quantify joint damage, the changes found with conventional radiography early in the disease course are nonspecific, and late radiographic changes are often irreversible. 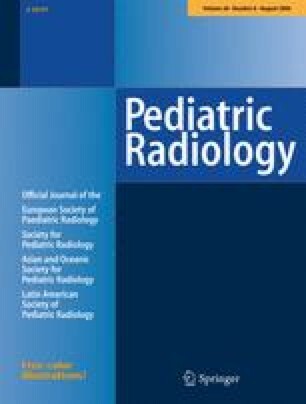 Although many clinical trials on drug development for children still use radiographic scales as endpoints for the study, more specific therapies have been developed for juvenile idiopathic arthritis (JIA) that would enable imaging to “fine-tune” patients to placement into specific treatment algorithms. As a result, new imaging scales to identify early abnormalities are clearly needed. 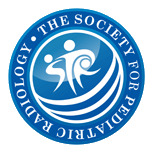 Many pediatric rheumatology centers around the world persistently apply adult-designed radiographic scoring systems to evaluate the progression of JIA. Few pediatric-targeted radiographic scales are available for assessment of progression of JIA in growing joints, and the clinimetric and psychometric properties of such scales have been poorly investigated. We present a critique to the evaluative, discriminative, and predictive roles of the van der Heijde modification of Sharp’s radiographic method, a scale originally designed to assess damage to joints of adults with rheumatoid arthritis, when it is applied to a pediatric population. We discuss the advantages and drawbacks of this radiographic scoring system for assessing growing joints and the ability of MRI to overcome inadequacies of conventional radiography. Ability of a scale to consistently yield the same results when the measurement process is repeated by the same method or reader (intrareader variability) or by another reader (interreader variability) . Ability of a scale to measure what it intends to measure . Ability of a scale to be credible . Ability of a scale to assess the degree to which the items in the measure cover the domain of interest . Ability of a scale to determine the extent to which a particular measure relates to other measures in a manner that is consistent with theoretically derived hypotheses about the constructs being measured [10, 50]. Ability of a scale to determine the extent to which a measuring instrument produces the same results as the criterion measure [10, 50]. Ability of a scale to detect change in outcomes when one is present (sensitivity to change) [10, 50]. When the scores are clustered at the upper extreme of the scale, this scale becomes unable to detect any improvement or to distinguish among various findings. If an affected joint is given a maximum score, it is impossible to score further progression of the disease and joint deterioration . When the scores are clustered at the lower extreme of the scale, this scale becomes unable to detect changes if the joints under assessment are small. This effect occurs in the scoring of joints when readers tend to have more difficulty detecting changes in smaller joints than in larger joints .